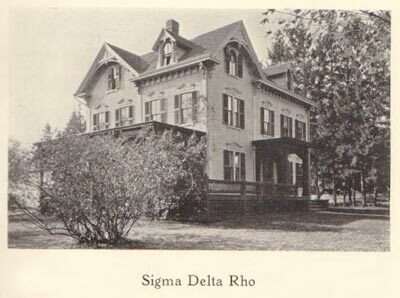 After the College bought the first Sigma Delta Rho house and razed it to make way for The Cage, the fraternity bought this house at 62 Snell Street, as seen in the 1927 Amherst Olio. In 1932 they joined Theta Xi, and they built a new home in 1940 on the same site, including the old building inside the new. 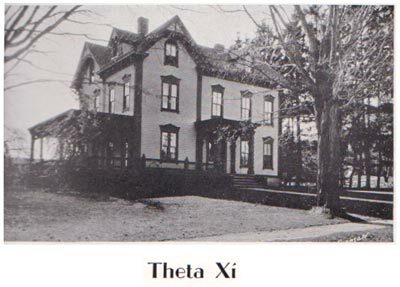 In the 1934 Olio, the same house is seen, but it has by now become the Theta Xi House.